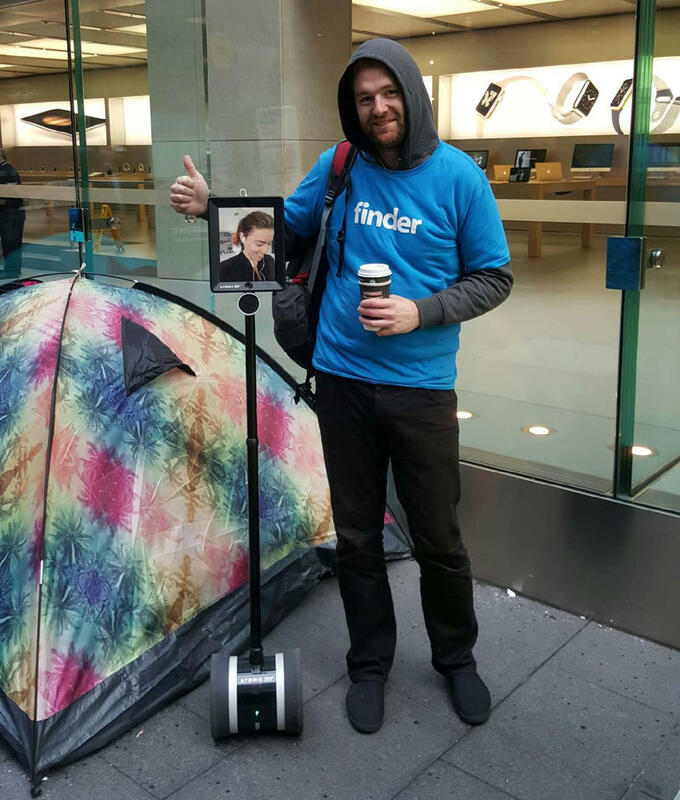 Standing in line for a few days (or longer) just to score a new iPhone at launch isn’t really necessary anymore, but it’s still a popular tradition among Apple’s biggest fans. Now one Australian woman has figured out a way to experience the line without ever leaving her office. 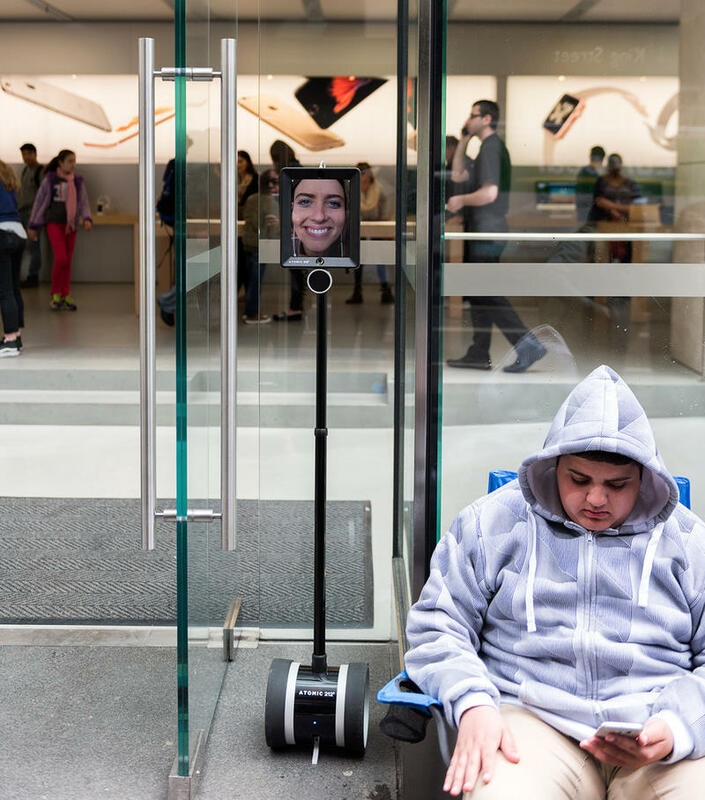 Mashable reports that a telepresence robot operated by a woman named Kelly currently occupies the 4th spot in line at Apple’s flagship Sydney, Australia store on George Street. The robot, called Lucy, is basically just an iPad attached to a Segway. It arrived on its own at 5 a.m. on Thursday. An hour later, Kelly began communicating with the other Apple fans in line. She notes that most people seem amused by the situation, rather than annoyed. 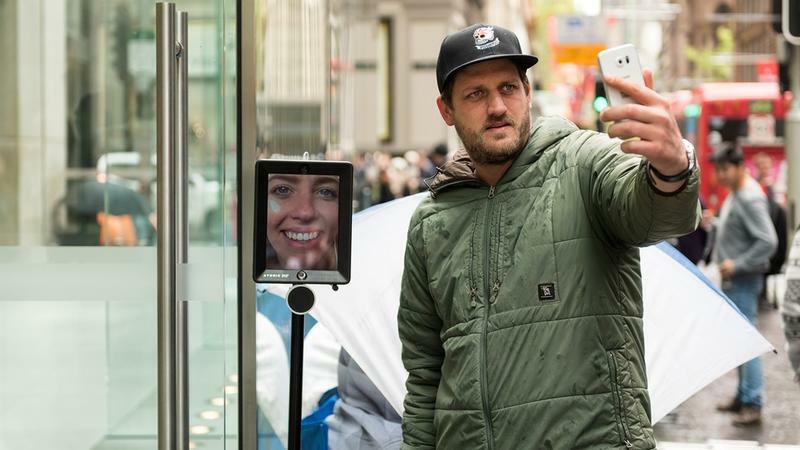 “Everyone thinks it is pretty cool, they were happy to let a robot go ahead,” she told Mashable Australia. Meanwhile, Kelly is safe and warm at her office, though she plans to spend one night in line with the robot. She’ll bring a tent with a built-in charger in case it rains or she runs out of juice. Once launch day actually arrives though, the robot will apparently handle the purchase on its own without any physical help from its human handler. We’re not exactly sure how that last step will work out, though we assume Kelly has a plan.